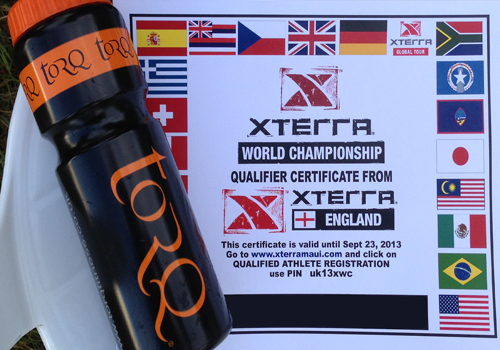 TORQ recently attended the XTERRA England Championship which was held at the beautiful Vachery Estate in Surrey. 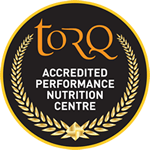 This was the premier event of the 2013 racing calendar of Xterra/Off Road Triathlon events and with it came a strong field of top level Age Groupers as well and a whole host of well known XTERRA professional athletes. John Wood – Swim: Vachery was to be my first time at an Xterra event – in fact, it was to be my first time at an off road event of any kind! However, swimming is swimming so no real issues there, apart from the fact that I was brought on to the team with quite short notice and I’d not really done too much swim training for around 6 weeks, since racing in the European Triathlon Age Groups. Race day was pretty chilly after the Summer we’d had, so the water temperature had dropped a little but, after a few strokes in the clear, fresh, spring fed waters of Vachery, I soon became acliamatised. 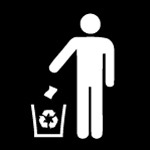 I was starting in the Pro wave and recognised a few well known faces when we were in the water. Soon enough, we were on the start rope and inching forward waiting for the off of the inaugural XTERRA England 2013. I had a good start and, with a fast getaway, it meant that I was in front at 400m. By the time I settled into my rhythm, Richard Stannard and Ben Allen pulled by me and were swimming at a pretty rapid pace. They then passed me, so I decided to settle into my own stroke, draft and just use them to aid sighting in the poor light and choppy conditions. The last 1350m of the race (the swim was about 250m long by most people’s GPS estimates) passed by pretty uneventfully – I tried to not let the two get away from me, or get caught from behind! After dancing with some pond weed for a little I continued my swim without being caught from behind, I worked out that I was about 70s behind the lead pair coming out of the water and in a really chuffed 3rd place! I stormed into transition and handed over to Jo Clay ready for her bike leg and quite happy with my swim time of 21 mins which when translated into a 1500m course and less the run into transition, was actually a sub 18 minute swim which I was really happy with! 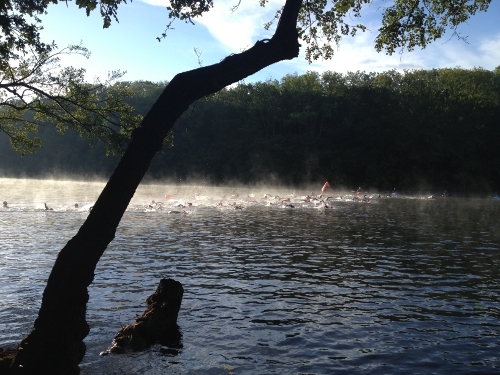 A great start to my first Team & XTERRA race. 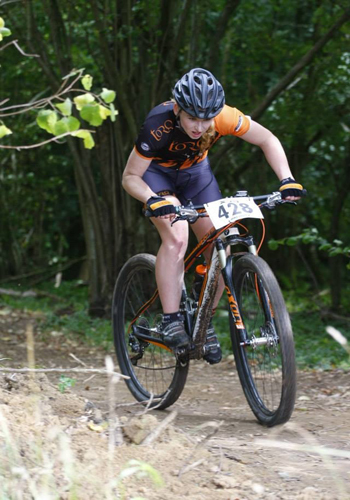 Joanne Clay – MTB: I was really excited to be taking part in the inaugural XTERRA England 2013 and, to be part of such a strong team, we were all hoping for a good result. I knew we were capable of putting some great times in on the swim and the run, so the pressure was on for me to put in a good time on the bike. I had the opportunity to ride a practice lap the day before the race, so I was familiar with the course when race day came around.  The course was good fun; there were lots of twists and turns, tree roots, off camber, mud and a few bomb holes to tackle, so that kept things interesting! We were off in the first Pro wave and my heart was racing as I awaited our swimmer in the transition area and, as this was the first transition I had ever done, I have to admit I was a little nervous about getting that bit right. John, our swimmer, came in 3rd out of the water, which was fantastic, and that meant that I was on. I was feeling keen and strong and hit it fast from the gun! Having raced predominately in the MTB arena, I‘m used to high intensity racing for around 1:30-2hrs, so this bike leg and course suited me just right. I kept pushing hard through the open field sections and tried to keep as smooth as possible through the wooded section, so as not to lose much time. By the second lap, I had a good feel of the course and was riding in a good rhythm. I was hoping to do the bike leg in less than 1:30hrs, so I had to push hard all the way. Nick Shasha was waiting for me in the transition area ready to take over from me to start the run – the transition went smoothly and Nick was off. I was really pleased with my ride and later discovered that I’d actually ridden the fastest bike leg in the whole competition – including the Pro’s! Nick Shasha – Run: I took on the final run leg. 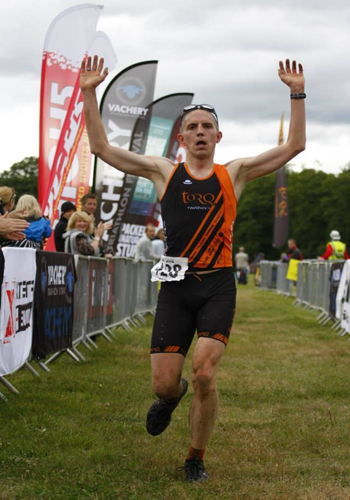 Having historically raced as a Duathlete and recently turned Triathlete, I went into this race eager to repeat the form Torq always seem to show in this kind of event (the Torq triathlon squad recently came 2nd in the 2013 National Triathlon Relay Championships for example), and also a little worried about how close this race was (6 days) to the World Triathlon Championships in London. Given also the fact that I’m generally a bit of an off-road softie, I’ve spent most of my running years either on the track or the road and certainly not bounding up and down river jumps and through peat bogs, which is always part of the menu with Xterra! Thankfully, John and Jo did such a fantastic job on the swim and bike that I only had to finish the job. I ran reasonably hard, butkeeping something in reserve for the Worlds, over the two lap course and, when I crossed the line, we noticed that, not only had we won the XTERRA England Relay, but we won with a huge margin of just over 25 minutes to 2nd place! 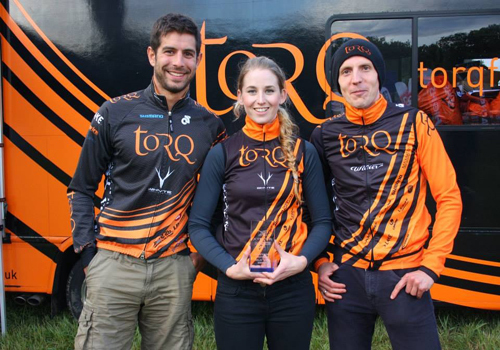 This was a testament to the class and depth we have in Team TORQ over all 3 disciplines. I thoroughly enjoyed the event and the inevitable team camaraderie, and can’t wait to do it again in 2014 – Roll on next year! Pictures courtesy of Jolekha Shasha.